Rated 4 out of 5 by coolang1989 from NOT A BAD GAME I thought that this game was pretty good. The graphics were good, story line was ok and the sound effects weren't too bad either. Paris is the setting and I love games with an international theme but I agree with the other reviews that this game was too short! 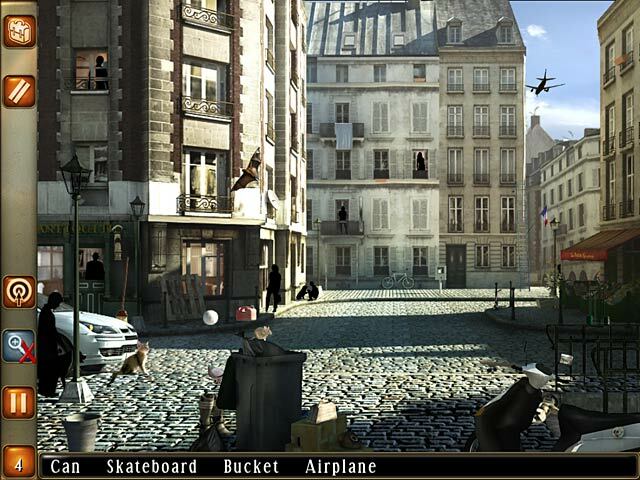 Rated 4 out of 5 by BDSfan4life from I Really Like This Game This game has great scenes of Paris. If you really like HOG games then this will be a good game for you. The only thing I didn't like about this game is that it's to short. I hope they come out with a second game that starts up where this one ends. Also if you really like love stories then you'll love this one. Rated 3 out of 5 by pennmom36 from Kind Of Boring This is a HdO game where you have to move the screen around and zoom in to find the required items. The items are tiny even when you can zoom in and the last few items are hidden away and you have to see the sparkles in order to know what to click on. The story has potential but the times inbetween are just too slow moving. If you don a pair of glasses and stick to the game it might pick up. Rated 3 out of 5 by darkqueen2 from Just ok Overall the game was ok. The graphics were good. I felt the storyline was weak from beginning to end. When I finished I said you have to be kidding, I was still waiting for the good part to start. In all fairness if you are a new game player try this but if you have played any HO games I think you will be disappointed. I finished this game in less then a day. Rated 3 out of 5 by HastaLaPasta from Comme ci comme ca A little confusing to begin with seeing as the guidance it gives you can be a little scarce, but once you figure it out, it's simple enough to follow. The minigames can be as frustrating as they are enjoyable. The plot requires a certain suspension of disbelief and the main character sounds rather reminiscent of a stalker, but that has it's own charm, in a strange way. Overall, not a game that I'd replay, but still one I'd say is worth playing if you have the money to burn. Rated 2 out of 5 by Fin_Raziel from Tries your patience! 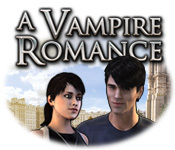 Overall the game has an interesting plot: a woman is going to a university in Paris to study art, and falls for a vampire in her art class. It begins well and at first the pacing seems excellent. You arrive in the city, track down the man who is renting you the apartment, clean the apartment up, buy groceries, and tour the city. 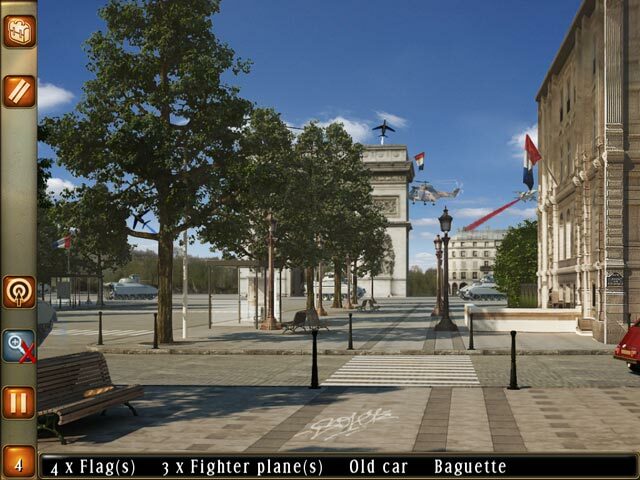 The hidden objects are relevant, but sometimes very difficult to find. Some of them are so small you actually have to strain your eyes. I guess that's good if you really like a challenge, but I found it to be an eyestrain and too difficult to be enjoyable. I must warn you, some scenes are out of sequence, so the story seems to make little sense at times. For example, there is a scene where the woman meets the vampire at a park and he refuses to have a picnic with her. The player is left wondering how the heck they ended up there together without prelude, and why he is being so rude. But in the next scene she runs into him at the riverbank, asks to make sure she remembers his name, and THEN decides to make a picnic lunch and goes shopping for items to put in a basket. The scenes are jumbled and it wasn't done on purpose. At first I thought the game might be British due to some unfamiliar word choices (I'm America), but it could actually be a foreign game that is poorly translated. Or maybe the writing is just that bad! I thought the pacing was good at first (find your landlord, check out your new apartment, go to class) but then it started jumbling scenes and rushing the story. They had barely met before "falling in love" and the game doesn't always make clear where you should go next. You travel between city locations via the subway. That was very difficult to figure out and get used to, because as in real life you have to make connections and make sure you're getting on the right lines. The subway images all look exactly alike so you have to pay careful attention to the small direction signs and follow your map. You spend the majority of the game on the subway, not even searching for hidden objects or solving puzzles most of the time, and it's beyond irritating. I think the graphics are attractive. The dialogue might have been better if voice-acted or if it had been written (or translated) better. 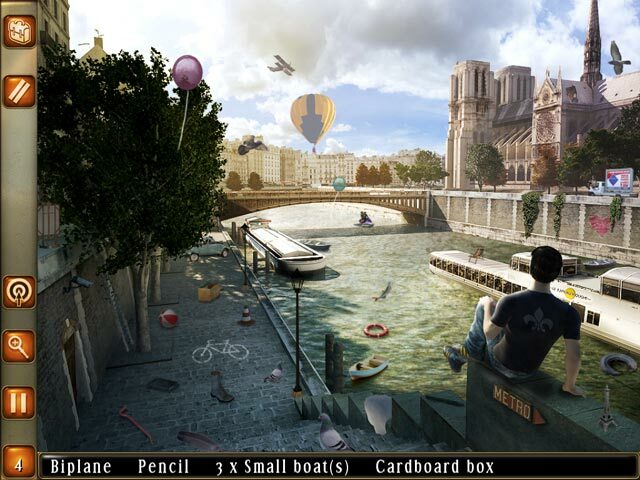 I'd recommend it to someone who likes a challenging hidden objects game, but it's not much fun and the writing quality is very poor. Rated 2 out of 5 by AnnieKateWitch from Terrible The whole experience was awful. Rated 2 out of 5 by bluesycat from I had to see for myself Couldn't believe that the game could be as frustrating as other reviews suggested. So I just had to try it. Not fun. I'm not sure if it's just too challenging for my skills, or a poorly constructed game. Random clicks - exactly. You can't even intuit what the developers want you to do.